I'll start off by saying that this was my first lunch experience at Tacodeli. I have eaten breakfast here numerous time and I really like a lot of things that Tacodeli does, lunch was not one of my favorite Tacodeli moments. 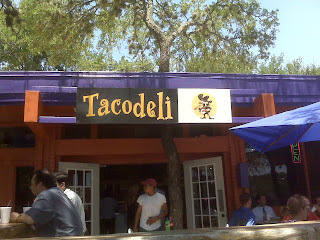 Tacodeli has two locations now one near Barton Creek on Spyglass and a second location on North Burnet and Mopac. We visited the Spyglass location today for lunch and it was packed, packed to the gills with a bunch of gringos. Nothing against gringos, I am one of them, but with the influx of gringos and good service comes some drawbacks: 1 - Muy Spensive Tacos! All were over $2.50 each. 2 - Lack of significant flavor. Most of the items we tried were really good cuts on meat, but you need a little fat in there to make things special. We tried several taco fillings on our visit. Picadillo (good, but a bit runny), Puerco Borracho (great), Grilled Queso (tasty), Al Pastor (marinated - not great), Mole (too sweet, but lovely looking), a Cowboy (decent) and a Frontera (good, meat was lackluster). As you can see they were all fine tacos, no real complaints. The standouts were the Grilled Queso and the Puerco Borracho . 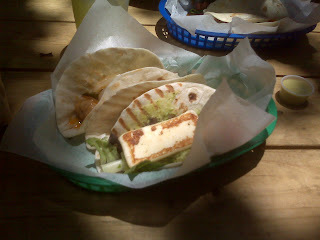 The Grilled Queso was fresh and unique and the Pork had the best flavor out of the bunch and reminded me of Concina de Consuelo's machacado. Also, it is worth noting that the all the tortillas were very good (possibly homemade) and charred to perfection and their salsas are really good, especially the wonderful blended jalapeno Dona salsa, but it couldn't save the otherwise bland meats. 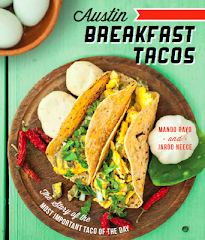 Now breakfast on the other hand is where Tacodeli shines. The eggs are cooked perfectly, the fillings are fresh, the tortillas are crispy and the prices are much more affordable. The potatoes are crazy good, but unlike anything I have had elsewhere. They are pureed and a little runny, but amazingly savory. The migas plate and taco are really good, the Jess special is delicious and the black beans are pretty tasty. 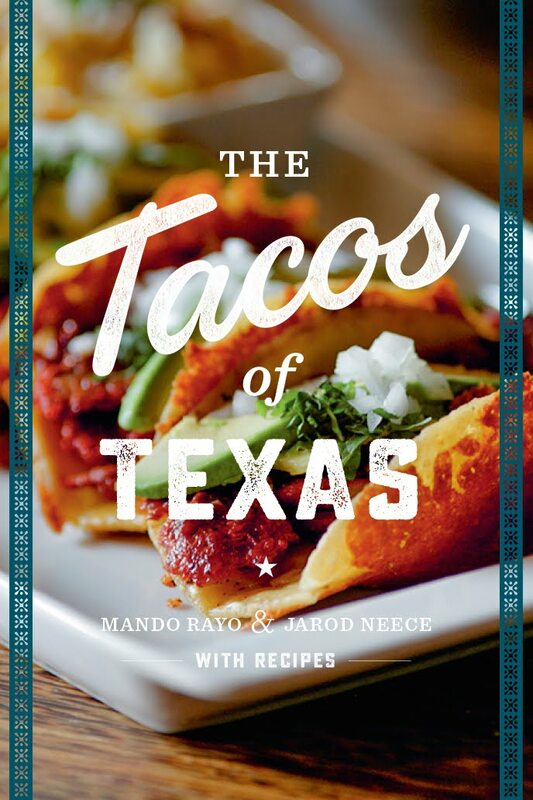 You can find TacoDeli tacos at several locations around town, including Emerald City Press and a few convenience stores. I tried to find a list of locations, but their website didn't include them. Go back and get the daily special, not the regular menu items. Monday (Cochinita Pibil, which they've inexplicably misspelled on their own site), Tuesday (Achiote Chicken) and Friday (Ceviche) are particularly good. Also, ask for the habanero salsa. They're usually hiding it behind the counter. I work at one of the locations and have to say, Top 3 are the Cochinita Pibil (Try it with a little drizzled honey), The Cowboy Taco, and the Mojo Fish Taco. 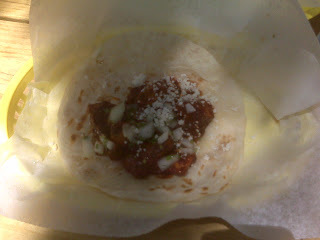 Tacodeli is oh so delicioso! It's all about the Adobados and Frontera Fundido (both chicken). I don't find their beef to be as tasty as their chicken. Austin Chronicle named Tacodeli best taco lunch for 2006 and 2007. Everytime I go in it is packed. 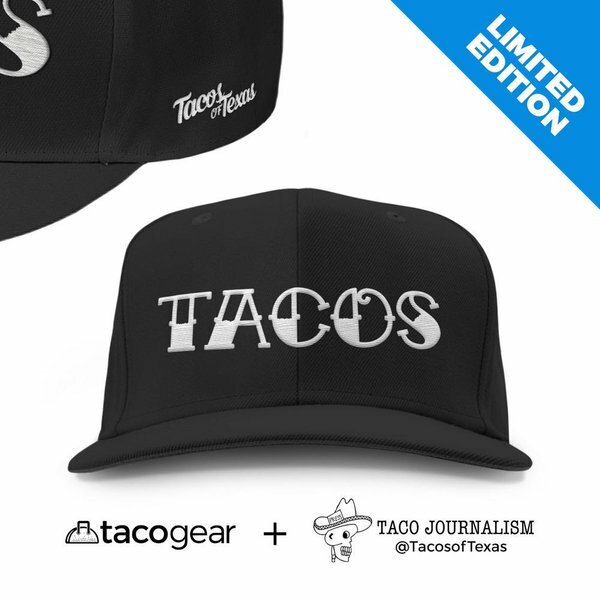 Order this: Cowboy, Frontera Fundido, for a third I go fish taco or tacoloco. best fish taco or picadillio I have had. The picadillio is good I dream about it.